Oh, would it not be absurd if there was no objective state? till our eyes give it shape? Was extremely clear Friday evening and a decision to take images rather than going north to Livingston which would have been an hour and a half up, three hours there, hour and half back home . 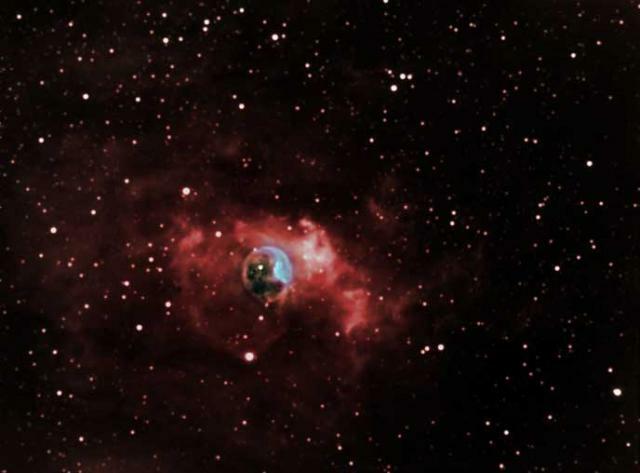 The image Bubble Nebula (NGC7635) is located in Cassiopeia, sometimes classified as a planetary nebula, actually closer to a ancient nova remnant.